Frequently asked questions about our animal research activities and the impact on animals. We work mostly with small mammals, for example mice and rats. Question: Is animal research carried out at the University of Bath and why? Answer: Yes. The University of Bath conducts world class biomedical research aimed at understanding disease and developing new medicines to treat chronic and debilitating conditions like Alzheimer’s disease, depression, arthritis and cancer. Question: Is animal testing carried out at the University of Bath? Answer: No. We have never been involved in cosmetics testing which has been banned in the UK since 1997. We do not do toxicity testing (so called LD50 studies) in animals. Question: What animals do we work with at the University of Bath? 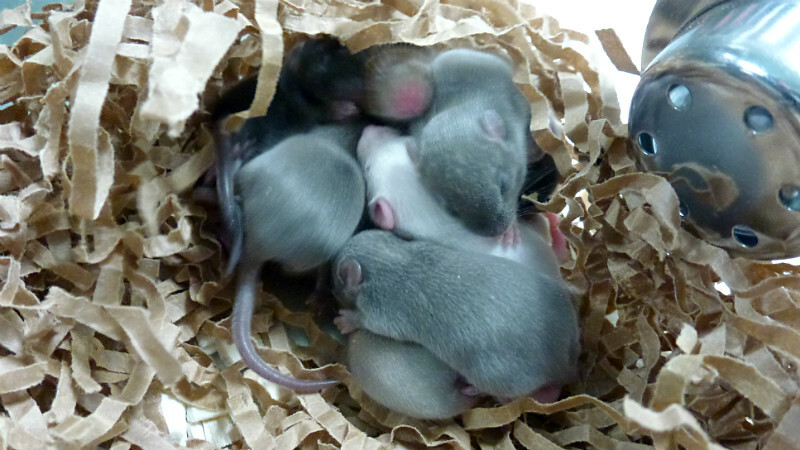 Answer: At the University of Bath, we work mostly with small mammals (for example mice and rats) and fish. We do not use larger live animals (for example cats, dogs, primates) in our research. They are vital to finding out more about conditions that have devastating effects on people. Question: How many animals are studied in research at the University of Bath? Answer: In 2017, the University studied 12359 animals in total, of which 7622 were mice and 4598 were fish. These were used for research and teaching purposes. See more facts and figures about our animal research. Question: Where do the animals come from and do they suffer? Answer: Animals used in our research are always purpose-bred and their welfare is our priority. The Home Office classifies animal research into mild, moderate and severe procedures, depending on the levels of pain and distress the animal is likely to experience. The majority of animal research conducted at the University of Bath is classed as mild (eg blood sample) or moderate. Question: Is animal research at the University of Bath regulated? Answer: Yes. Animal research is regulated internally by the University’s Animal Welfare and Ethical Review Body (AWERB) and must be licensed and approved by the Home Office. Home Office inspectors visit us regularly, often unannounced, to ensure that our work meets the UK’s legal and welfare standards. Question: Why doesn’t the University replace animals with alternatives? Answer: No-one wants to use animals and we are working on finding ways to replace them. In fact, UK law states that we must use alternatives where they are available. Research at the University is investigating how the use of animals can be reduced, or even replaced, by human brain slice cultures for epilepsy research. We also use tissue culture and computer modelling but some properties are shown only by whole animals. For example, although vascular cells can be studied in tissue culture, the regulation of blood pressure can only be studied in whole animals. Read a more detailed statement about the use of animals in research at the University of Bath or more about animal research in the UK. Research findings are published and available in a public open access research repository, Opus.